When it comes to outdoor gear most people want items that will work well for multi-season use. The most popular choice being 3 seasons: spring, summer, and fall primarily, although some areas with very mild winters may fall into the category. 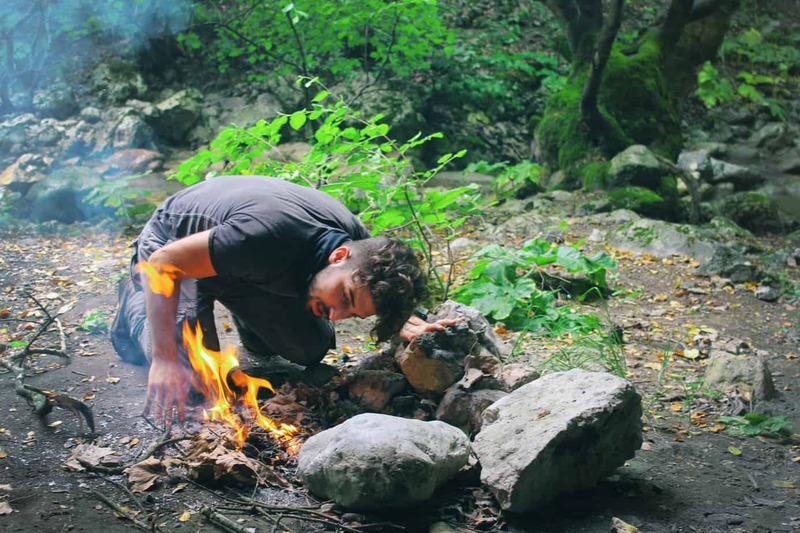 A sleeping bag is one of the most important items in your arsenal of gear for camping. Aside from getting out of the elements with a tent or other shelter, keeping warm and being able to sleep comfortably is vital. A bad night’s sleep is going to put a damper on your whole experience. A sore body from discomfort can also lead to improper posture which is bad for the body and can cause physical issues. Quality 3 season sleeping bags should be able to perform well in 20 degree Fahrenheit and warmer weather. Even though 3 season tent can indeed be used throughout the 3 seasons mentioned earlier, they tend to perform best in cooler weather. A sleeping bag capable of keeping you warm at 20F will certainly be uncomfortably hot in 70F weather. 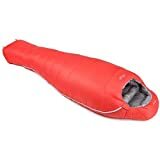 These multi-season sleeping bags should also have certain features like a drawcord hood you can cinch around your face and draft tubes on the zipper to prevent warm air from leaking out. Ideally the sleeping bag shouldn’t be overall “fluffy” or difficult to compress down to a small size, if you are a backpacker. Here are 3 highly recommended lightweight 3 season sleeping bags to consider. Eddie Bauer has been around since 1920 and has produced plenty of impressive sleeping bags in that time. A particularly good 3 season model is their Airbender 20 bag. This bag is sleek with a black color, complete with lime green accents. Eddie Bauer tends to be thought of as a luxury brand for outdoor gear and this is reflected in the price of this model. This sleeping bag is awesome but its downfall is how expensive it is. If you are someone that goes backpacking a lot and it comfortable spending quite a bit on a sleeping bag, you will be very happy with this model. The main advantage of the Airbender is the built-in sleeping pad. Sleeping pads can be a real pain for a backpacker. They take up extra room and you have to deal with storing an additional stuff sack. Since a pad is built into this model you don’t need to worry about a separate pad. The sewn-in pad is also inflatable, with a hand pump, so you can really compress this sleeping bag combo down to a surprisingly small size. All in all, this is a very good bag. It is designed very well and looks equally great. However, if price is a concern for you then check out these next two options. You can’t really go wrong with Mountain Hardwear and this next sleeping bag is proof of their excellent reputation. 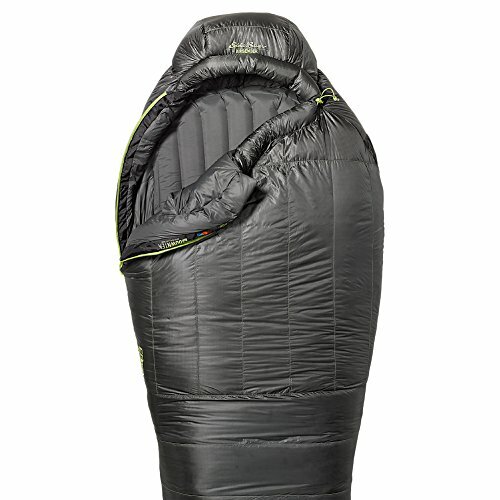 The HyperLamina is impressive enough to have earned a winning spot as a 2015 Editor’s Choice sleeping bag by Backpacker magazine. It also is the lightest sleeping bag out of the 3 recommended here. This sleeping bag may not be able to handle down to 20F but it still is 3 season appropriate. Mountain Hardwear really created a superb product with this model. It is super lightweight which is perfect for backpackers and compressed down to a very small size. It is unisex and comes in two sizes so majority of women will find this bag just as comfortable as men. The half zipper is a bit different but does an excellent job of making sure heat doesn’t escape as you exit the bag. However, some find the half zipper to be a bit of a pain if they try to climb in with a lot of layers on. Despite having won awards quite recently and not being an older model, it is priced extremely competitively. For everything you get with this sleeping bag, the moderate price is a real tempting reason to buy it. For that reason it is an excellent choice for the “hobby” backpacker or as a backup sleeping bag for more serious backapckers. Rab isn’t as common as a brand as the other two but don’t let that put you off of this third model. 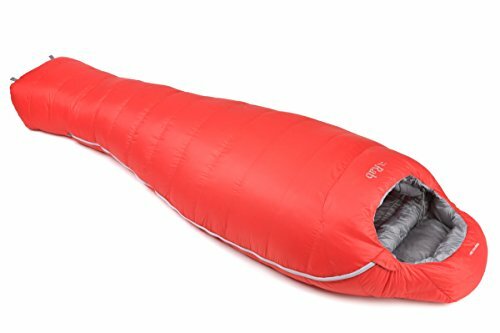 The vibrant red Neutrino 600 is quite a sleek somewhat futuristic looking sleeping bag that performs just as well as it looks. The Neutrino is super warm and will even remain warm if wet thanks to the hydrophobic goose down filling. The Pertex Quantum material is soft and durable, capable of putting up with heavy use. The sleeping bag hood has a collar as well as a drawcord so you can really keep in the heat around your head and neck. This bag only weighs a little over 2lbs and compresses down very well, so it won’t swallow up room in your backpack. The Neutrino model is consistently giving high ratings for its design, overall comfort and warmth. Possible downsides would be that the bag only comes in one color and the regular size is fairly large. Women or shorter men may find that the regular size is still a bit too big. A sleeping bag is one piece of gear you certainly don’t want to cut corners on when it comes to finding the perfect one for you. One of the most important aspects of camping out is getting a good night’s sleep. Finding a sleeping bag that will give you that improves your entire experience.